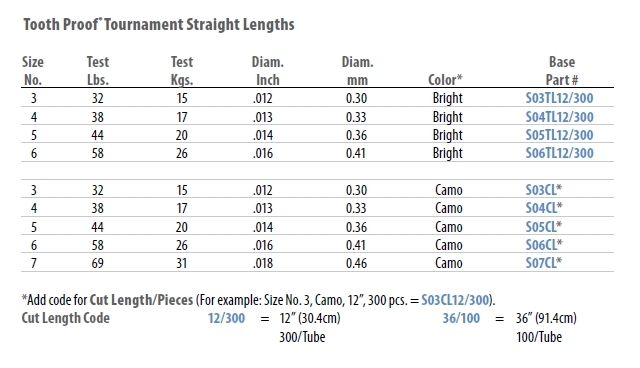 Tournament Straight Lengths are a must for competition anglers! No more fumbling with coils. Each piece of wire is precision straightened and cut, then packed in tubes for fast, easy rigging. 300 feet (92m) of wire per tube.